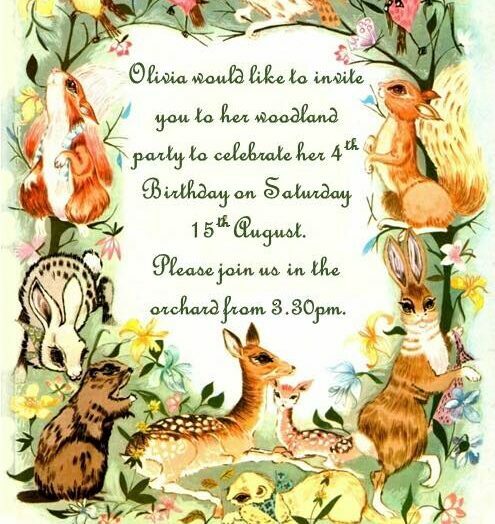 If you have a young girl you will probably know that unicorns are everywhere at the moment. 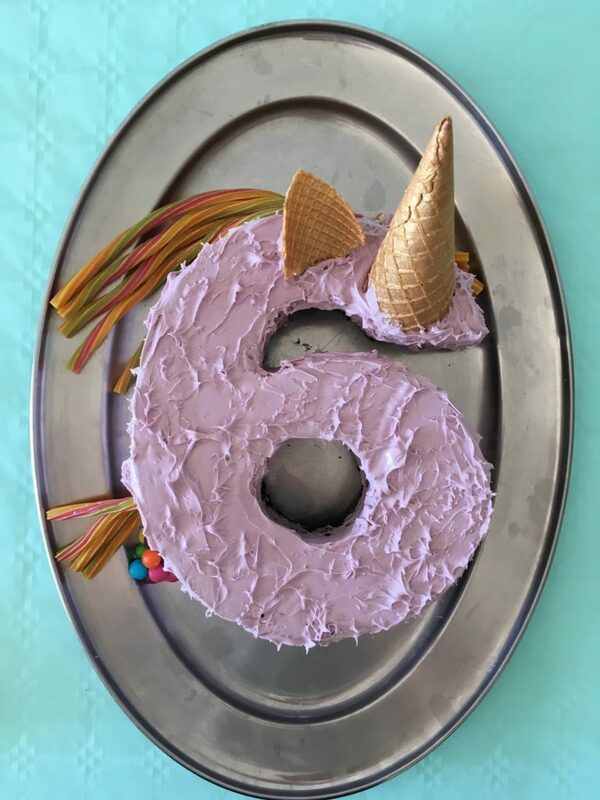 So it wasn’t a surprise when my eldest asked for a unicorn themed party for her 6th Birthday. 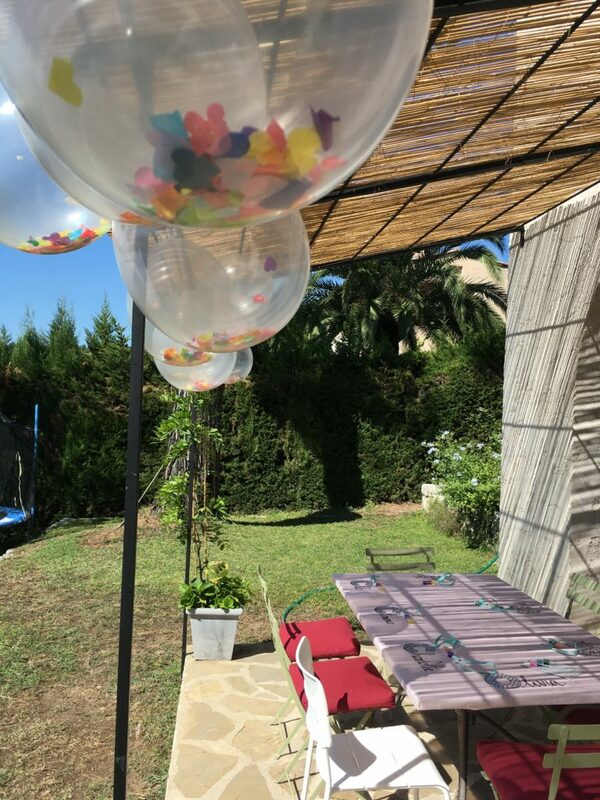 She was very lucky to have two parties: one in France for her actual Birthday and one in England with her school friends. 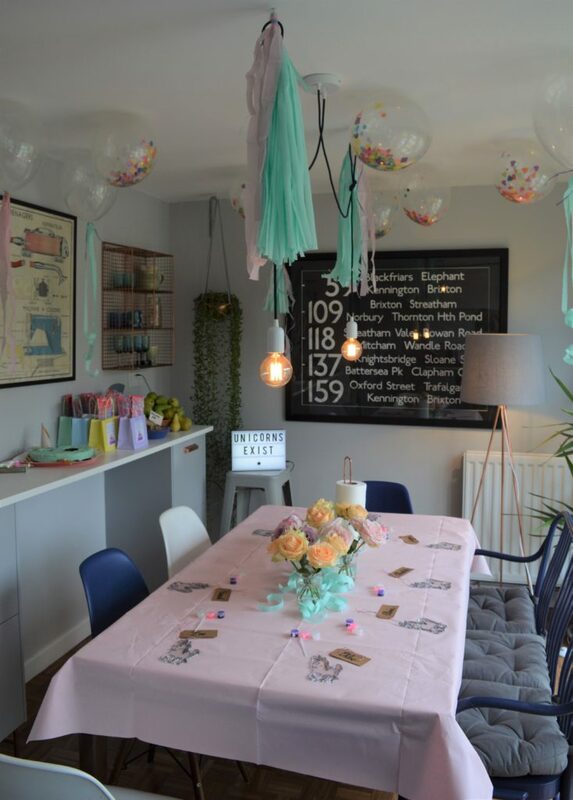 I picked a pastel colour palette, reusing decorations between the parties. 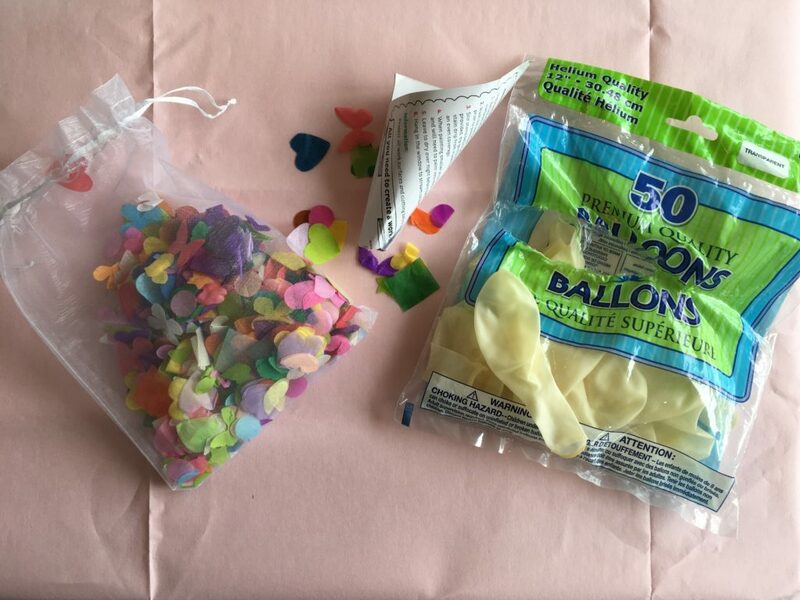 I went for confetti ballons using biodegradable clear ballons with biodegradable confetti. 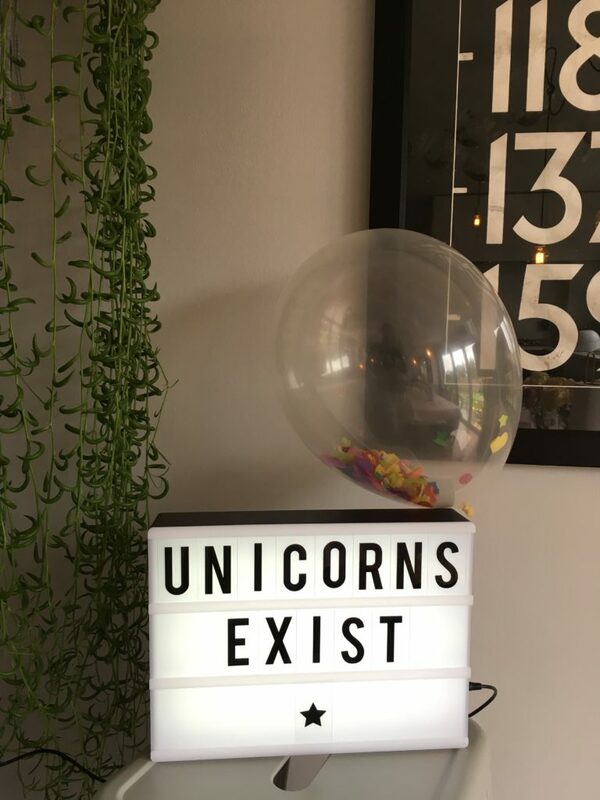 In French a unicorn is une licorne. 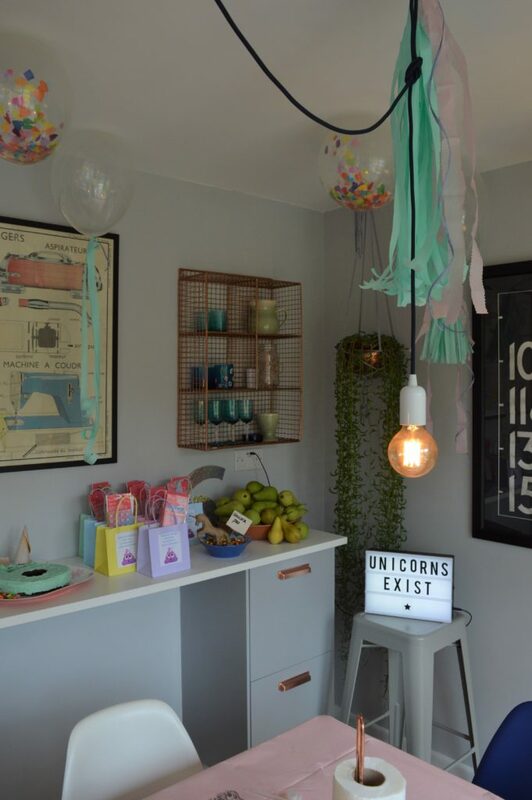 So here is her licorne party. 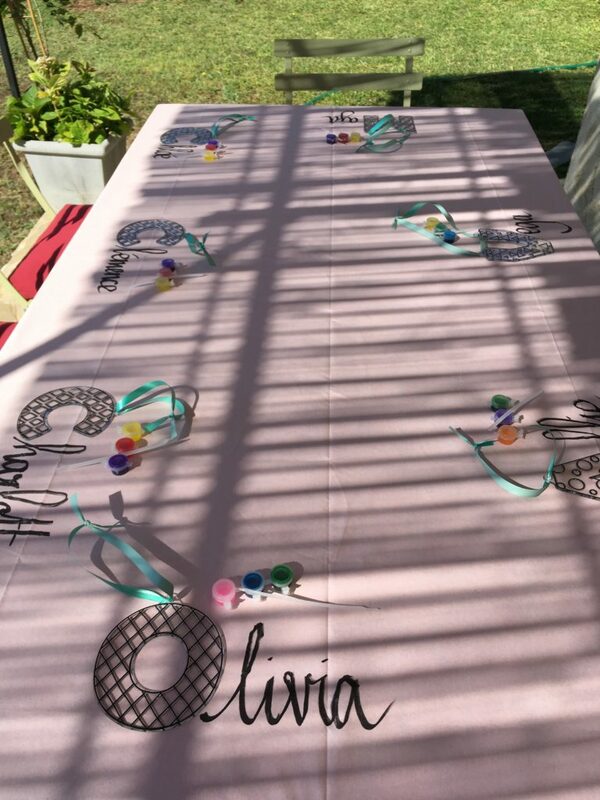 Due to the ages of the kids attending – 3 to 10 – I decided to do letter sun catchers as the craft. 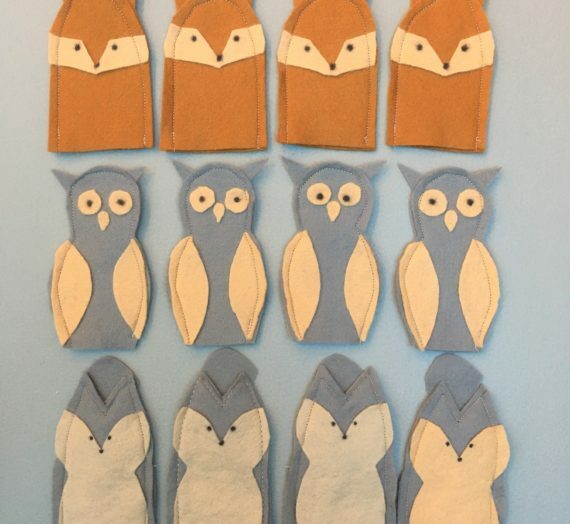 All the kids loved it. 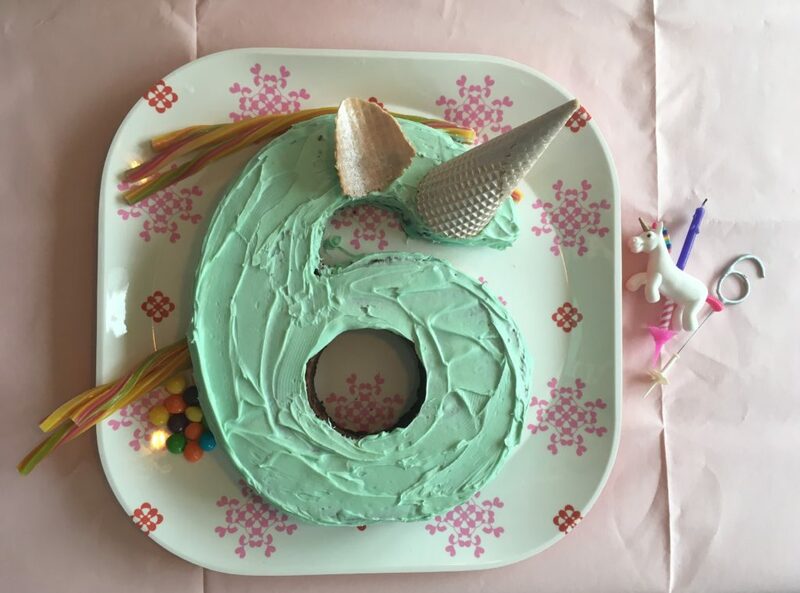 Now there are lots of complicated unicorn cakes on Pinterest but I’m not a great baker, I’m recently vegan and I knew I would be baking one of the cakes abroad in an oven I didn’t know so, to minimise the risk, I bought a 6 silicon cake mould and used an easy peasy vegan cake recipe using a packet of Betty Crocker cake mix (you can buy them everywhere) with one can of pop. This was a double layer: one vanilla cake made with lemonade and one chocolate cake made with coke. Ready made Betty Crocker icing (which is also vegan) coloured purple with food colouring. 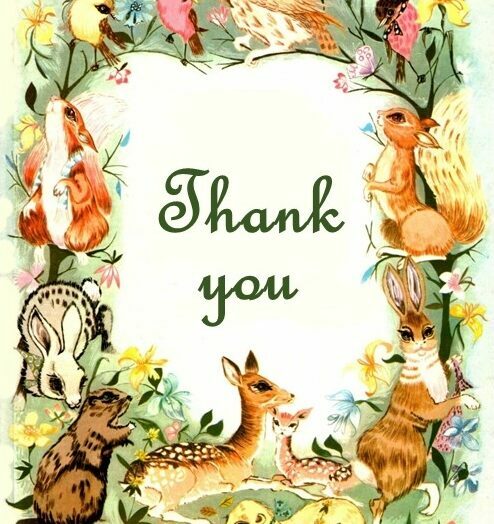 I used an ice cream cone for the horn and ear and rainbow twists for the mane and tail. 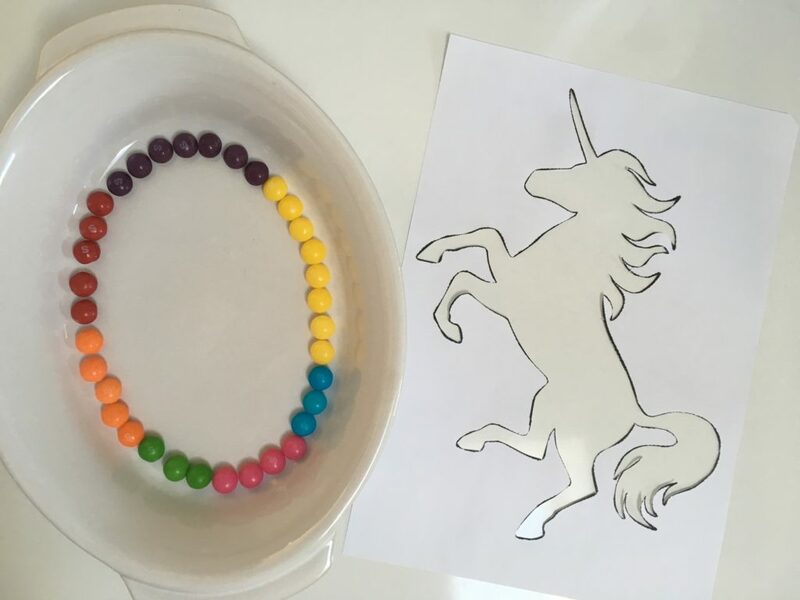 To give some magic to the party, I told my daughter that unicorns poo skittles so skittles played quite a big role. 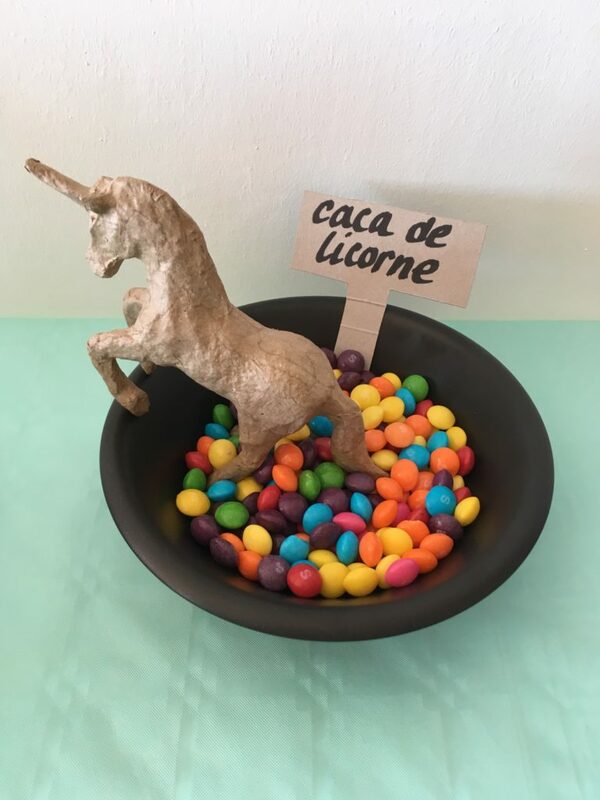 The bowl of “caca de licorne” (unicorn poo), the little pile of skittles next to the unicorn cake and then I poured water on these skittles and the kids watched as the water turned into a rainbow! 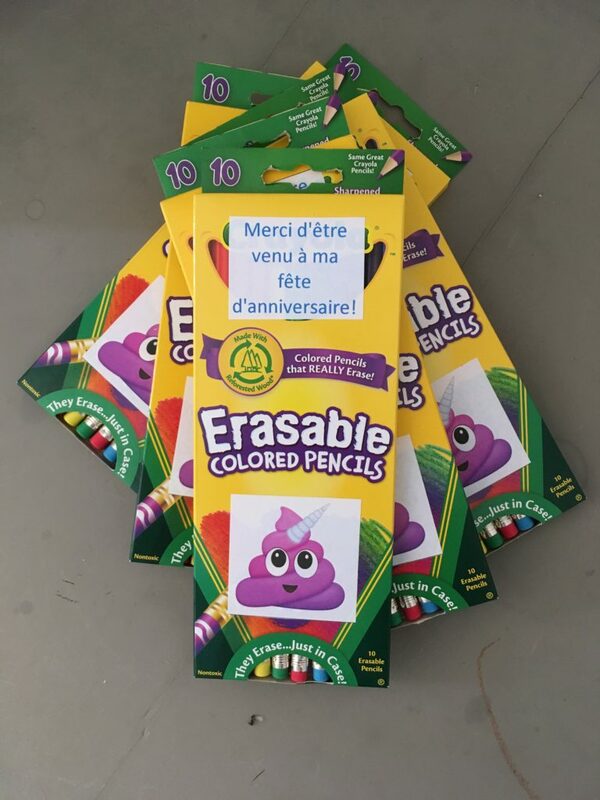 You don’t get party bags at French parties, so I did a simple eco-friendly present for each child to thank them for coming. 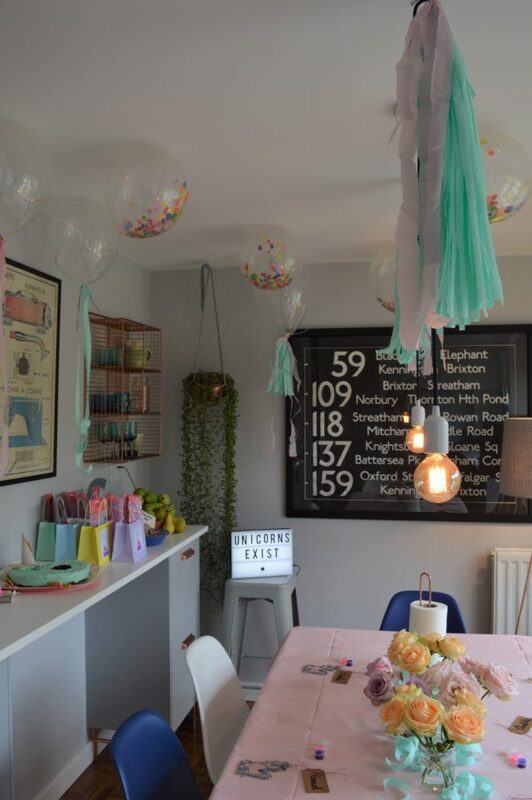 In England, we had the party at home. 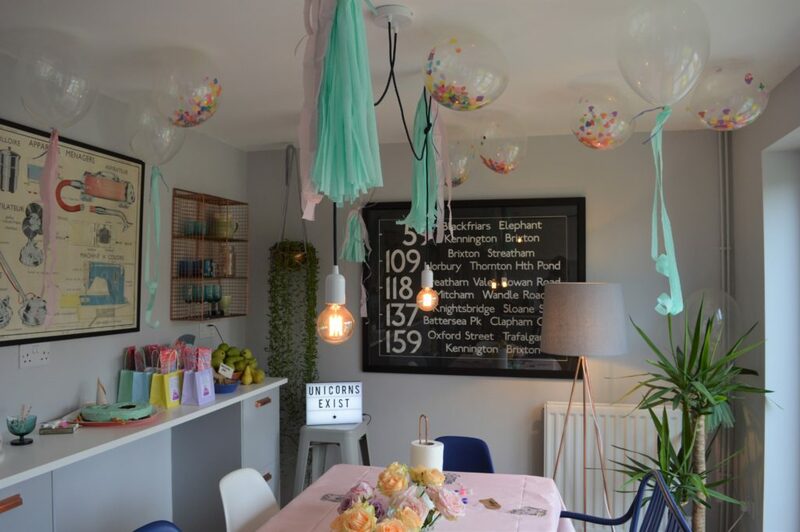 I used the light turquoise table cloth from the French party as ballons tassels. And more confetti ballons. 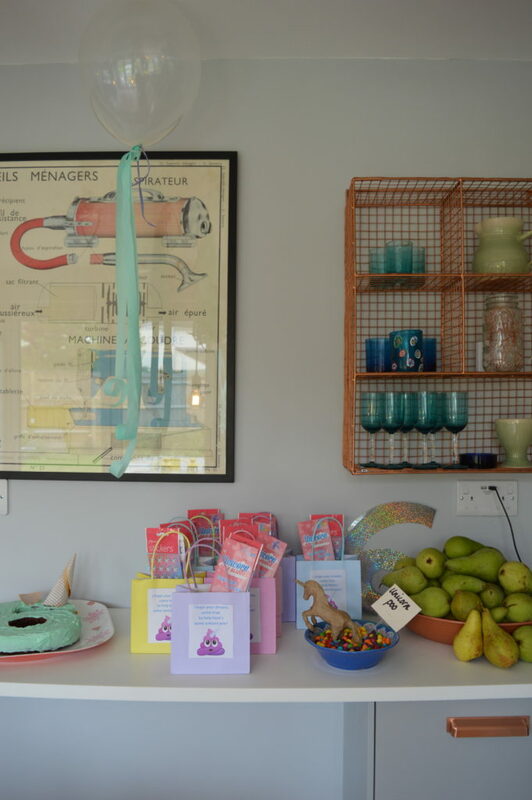 This time I made a single layer cake (chocolate with vanilla coke) but coloured the icing turquoise. 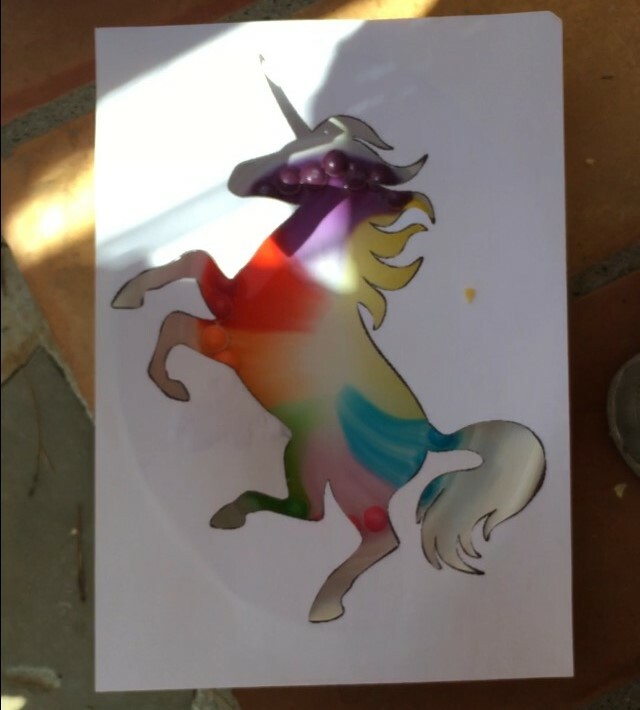 As there were only girls of a similar age I got unicorn sun catchers to decorate. 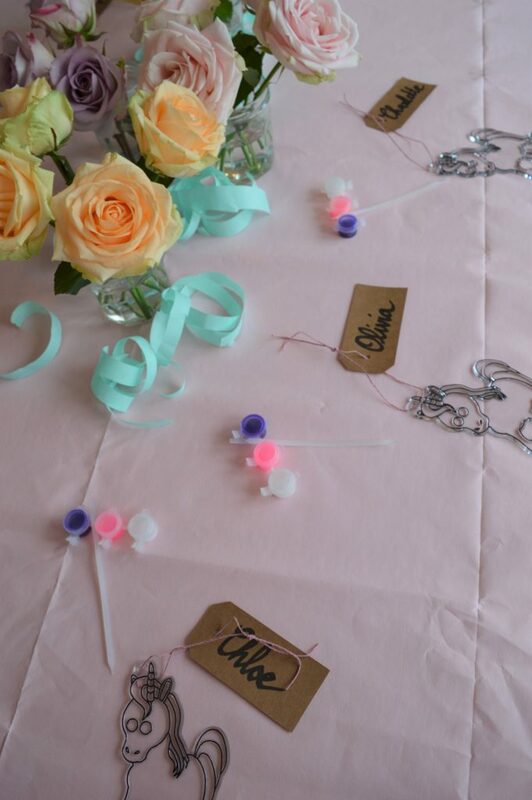 The party bags had a small selection of unicorn themed girls treats and of course the finished unicorn sun catcher. 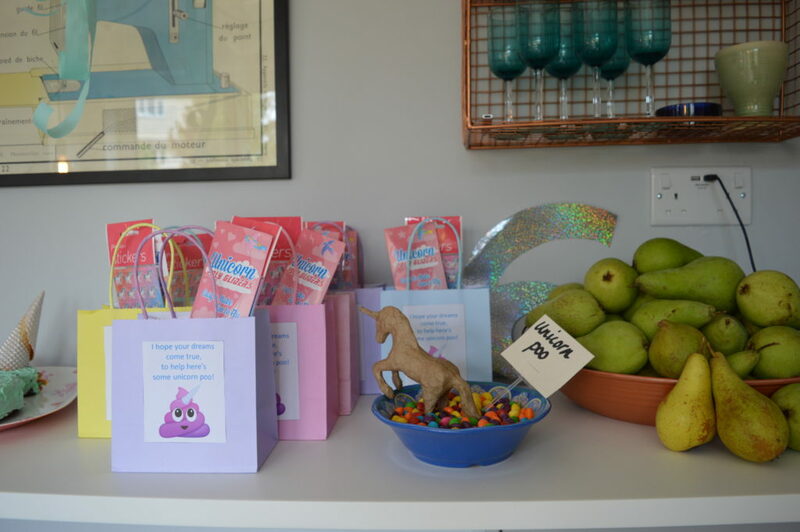 They also had a mini bag of unicorn poo in them (aka skittles). 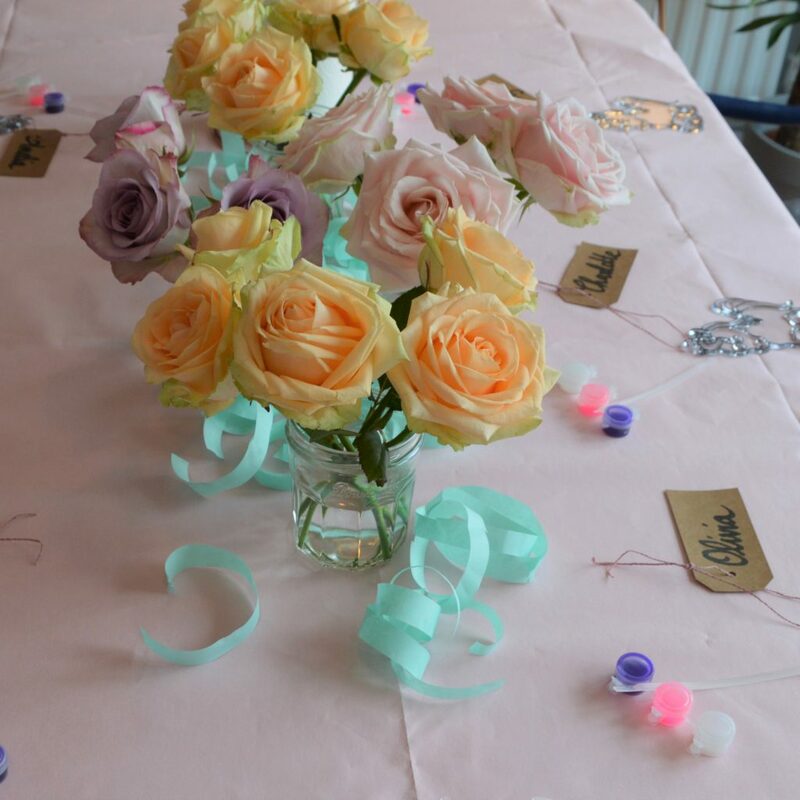 Luckily this party was just after my Birthday so my Birthday roses were the perfect pastel addition to the table.